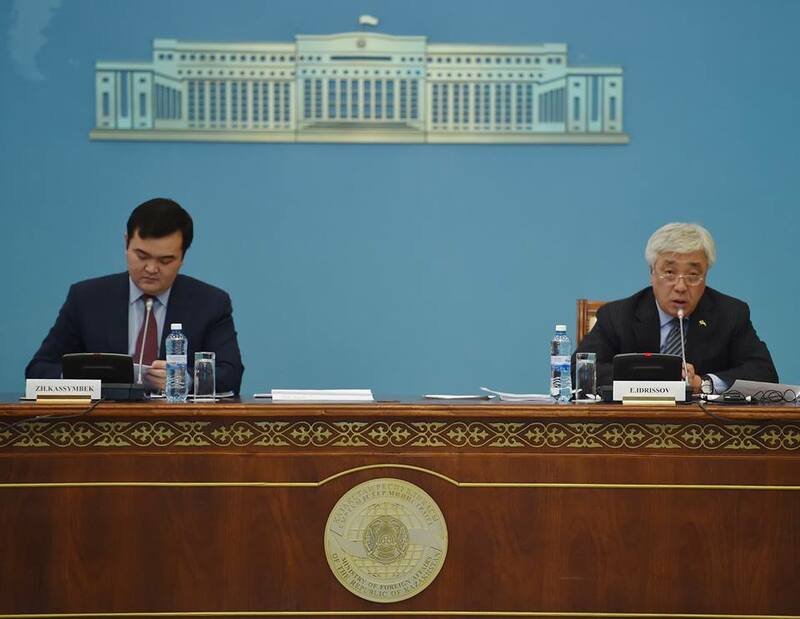 ASTANA – Kazakh Foreign Minister Erlan Idrissov and Minister of Investment and Development Zhenis Kassymbek briefed the country’s diplomatic corps Nov. 30 on common points of Kazakhstan’s Nurly Zhol economic policy and China’s Silk Road Economic Belt initiative. Air Astana President Peter Foster, high officials from the Ministry of National Economy, KazAvtoZhol and Kazakhstan Temir Zholy also made presentations. More than 80 representatives of foreign embassies and missions, including 50 ambassadors and heads of offices of international organisations attended. According to the speakers, both projects seek to create conditions for trade facilitation, transit transportation and development of reliable transport and logistics infrastructure. Therefore, integration of these projects will create a multiplying effect for the development of a wide range of industries and unimpeded trade across the Eurasian continent. It involves a significant expansion of bilateral cooperation also in investment, transport and tourism. 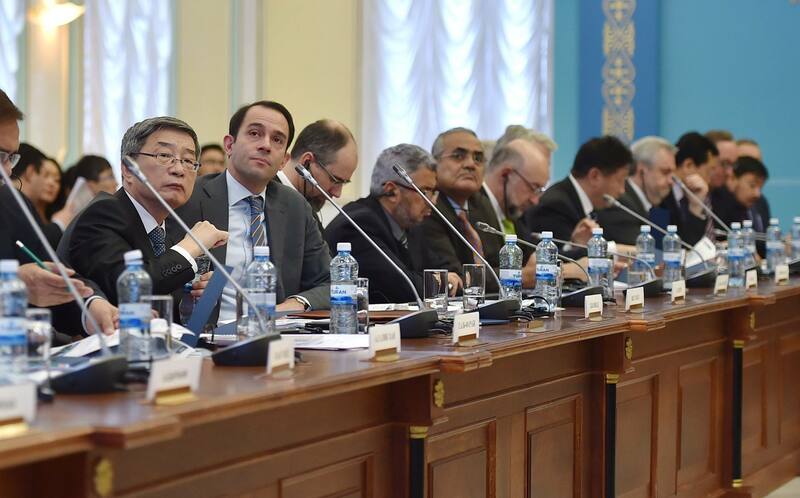 “Implementation of the Nurly Zhol programme will ensure the connection of the Kazakh regions to intercontinental routes Western Kazakhstan – Western Europe, China – Iran and will turn Kazakhstan into a major Eurasian transport and logistics hub that will connect the North with the South, the East with the West, the countries of the European Union, the Middle East and the Southeast Asia,” Idrissov said. In terms of transport infrastructure, the sides plan to cooperate in road construction and modernisation and the development of China-Europe railway route. The parties also intend to strengthen cooperation in creating infrastructure for airports and air traffic control, to establish a platform to exchange information and to continue to create favourable conditions for doing business by airlines from the two countries. “By promoting economic diplomacy, the Ministry of Foreign Affairs holds progressive work on creation of a favourable foreign policy climate for fruitful negotiations on transport issues, the establishment of the necessary international contractual and legal framework and the search for prospective foreign partners,” Idrissov emphasised. 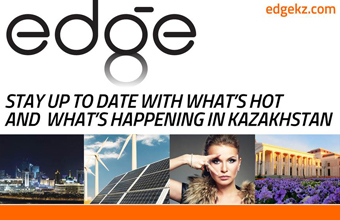 According to World Economic Forum, the quality of infrastructure in Kazakhstan has improved by 19 points over the past five years, from 82nd place in 2011 to 63rd place in 2016, Kassymbek said. “From 2010 to 2015 the number of transit passengers of Kazakh airlines has increased 10 times from 25,000 passengers to 250,000 passengers per year. By 2020, it is planned to provide three fold growth in transit of passengers,” he added. “The geographical location of Kazakhstan in the centre of the Eurasian continent provides advantageous prerequisites for using Kazakhstan’s transport network for the establishment of Asia-Europe transcontinental routes. The advancement of transport and logistics is a pivotal component of foreign economic and trade relations of Kazakhstan,” Kassymbek said. As of July 1, there were 2,465 road service facilities built in the country and more than 20,000 job places have been created. According to Foster, Air Astana offers international passengers free tickets to the upcoming exhibition EXPO 2017 in the framework of cooperation with the national expo company. In the framework of their joint plan, Kazakhstan and China are eager to strengthen cooperation in areas such as energy, transfer of innovation and technology, the automotive industry and others.